Autumn brings it’s mellow fruitfulness, with falling leaves and temperatures to match, and by the time you read this, Halloween and Guy Fawkes Night will be over for another year, allowing our pooches to relax a little until New Year’s Eve. The festivities are well over 6 weeks away, yet we are already seeing the start of the Christmas ‘dump your oldie’ season. We will never get used to the selfishness of some owners who just want rid of their older dog, sometimes to make way for a new pup, sometimes because they simply can’t be bothered or don’t have the time for the one who has been their companion for so many years. Perhaps there will be a foster space for a few of the lucky ones, the others will not be so fortunate and will have their lives cut short. We have no space ourselves right now, and money is tight, as always. 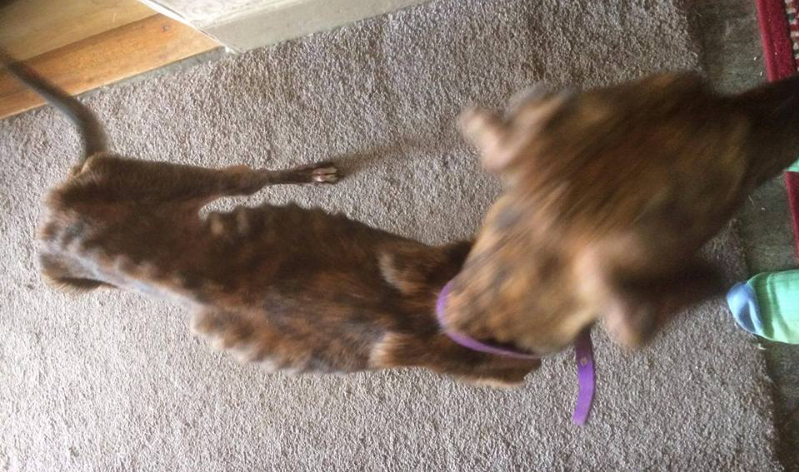 It breaks our hearts to say no; if only these people could take responsibility for their four legged family member, instead of treating them like a piece of furniture, to be thrown out when they have outlived their usefulness, then we and all the other small rescues up and down the country would not have such a hard time at the end of each year. Whilst most of the general public are looking forward to the festivities, here in rescue Christmas is a time of dread, despair and incredulity. At this time of year we need fosterers and more fosterers. We need help in all forms, always financial, like all charities, but also in spreading the word about the dogs in need, via social media or even word of mouth. We need those special folk to come forward for the abandoned and neglected souls that are out there waiting. Yet more broken souls wended their way to the safety of Last Chance Hotel during October; broken in spirit, and broken literally. 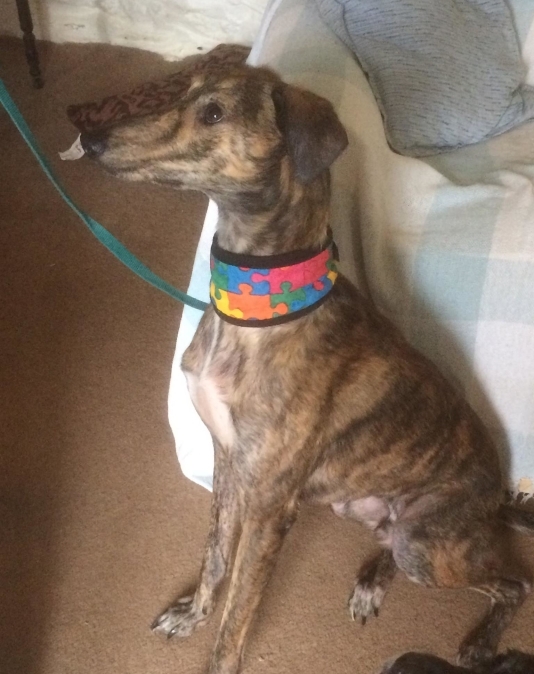 Sam the brindle lurcher arrived in Cornwall as a bag of bones, but he has now put on some weight and has all the cuddles he could wish for in his fab foster home. 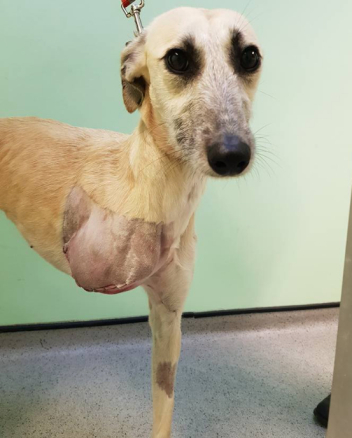 Luna, another lurcher, was let down by a national animal charity; she should have had urgent veterinary treatment for her badly broken leg, but they failed her. Instead, she came to us, where she sadly had to have her leg amputated as the breaks of both radius and ulna were too complicated. 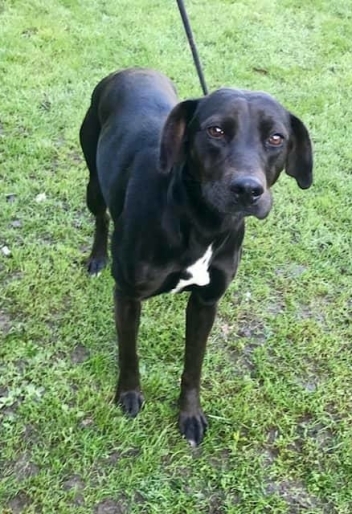 But as many people know, dogs are just fine on three legs, and she has adapted very well and is making new friends all the time. 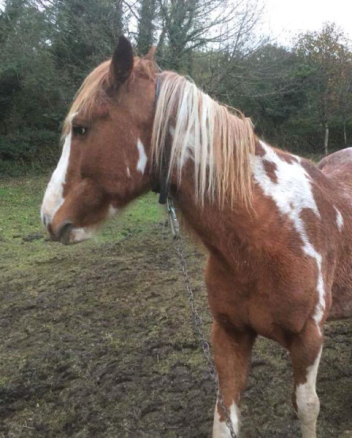 Chance the pony was taken into our care after he was seen in a very neglectful state by LCH team members. At the very least he will make a lovely companion pony when he is well enough, and may even be good to drive. 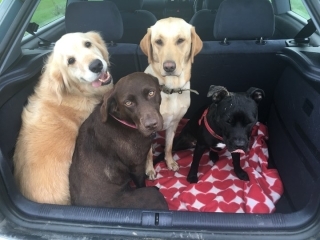 Poppet, a gorgeous little SBT, is much happier having had an operation on her mouth which was giving her pain, and Pooh and Piglet have found a super foster home for Pooh to see out his remaining days. Brian the Boxer X pup is a lovely little chap, and is now ready for his forever home. 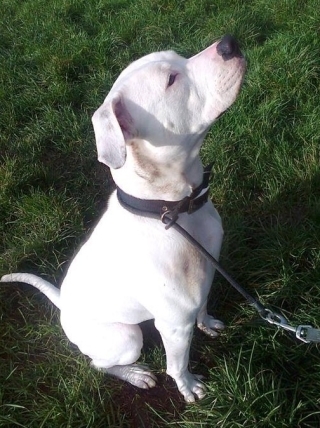 Henry, pictured above, came from the pound and is just a youngster at 3 years old, but disabled. He could be fixed, we don’t know, but he is now in Cornwall, safe and in foster, and he will have love and cuddles galore from now on. First 2 Left to Right - Brian and Poppet. Second 3 Left to Right - Pooh and Piglet, Luna, and Chance. These are just a few of the incomers for last month. If you would like to follow their progress, and find out more about all the others, please check out our Facebook page and website lastchancehotel.org. 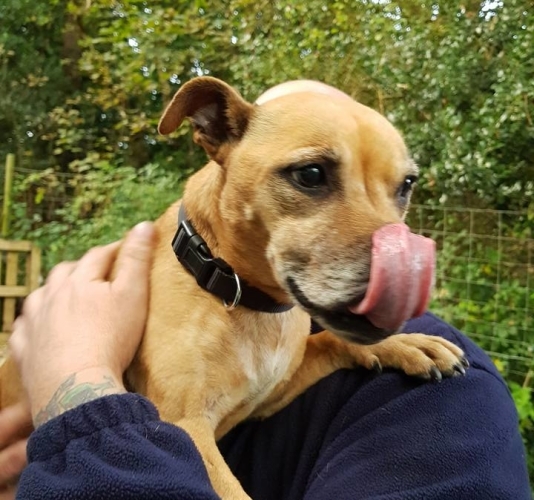 We now have a news section on the Home page; dogs are constantly being assessed in their foster homes and information changes regularly. The young, the old, the irresistible and the disabled found their forever homes in October. Siblings Salt and Pepper didn’t have to wait long before their new families whisked them away to their new lives and new names. 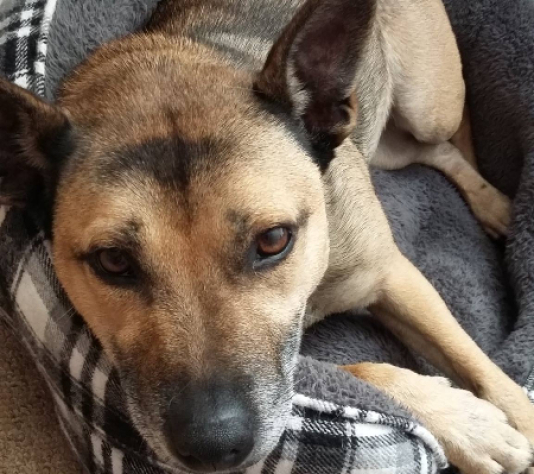 Olive, who was looking for a quiet end of life foster home, now has a lovely new mum to take care of her. 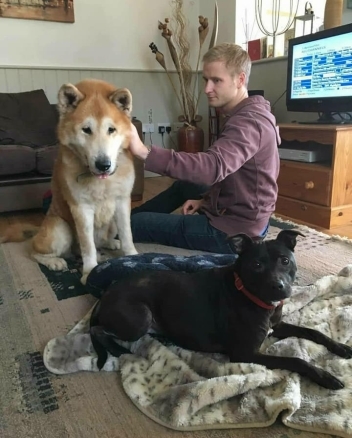 Belle went in to foster with Jason and family, but we all knew that they and Claude, their other Last Chancer, wouldn’t be able to resist her charms, and they certainly make a fine couple! 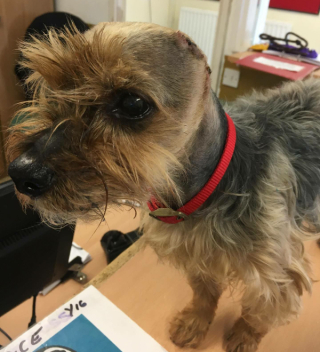 Little Bob, the deaf Yorkie, who came in during September, now has an understanding, loving home. 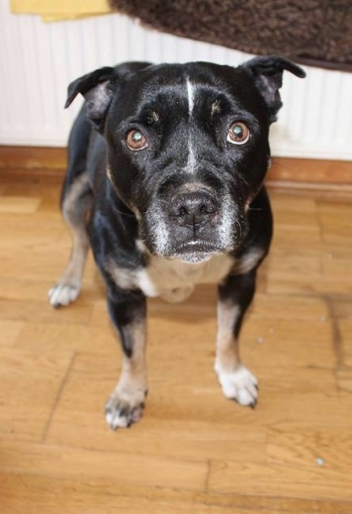 And dear Katie, who has been waiting so long for her special someone, has finally found a home to call her very own. After seeing her story in the West Briton and our Hub Shop window, her new mum and dad took Katie on foster with a view to adopt, and we couldn’t be happier for this lovely girl and her new family! Stop Press! 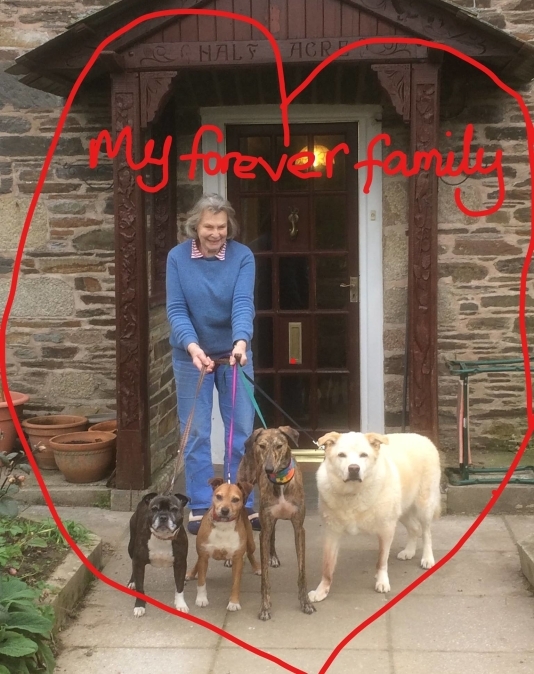 We have just heard that Sam, the very poorly lurcher who arrived as a bag of bones at the beginning of October, has fallen on all four paws with his lovely fosterers. Look at the change in him! This is all down to good food and lots of love. He now has a super family and a great future ahead of him. Our Christmas Facebook Auction is now underway, raising vital funds for the animals in our care. Why not join the page and see what’s on offer? There are gifts, special treats, doggy items, professional services and many other lovely lots up for grabs. Sarah Hargreaves is giving up the booze throughout November in solidarity for her good friend and fellow LCH supporter Heidi, who has had some major surgery and needs to give it up for a while. 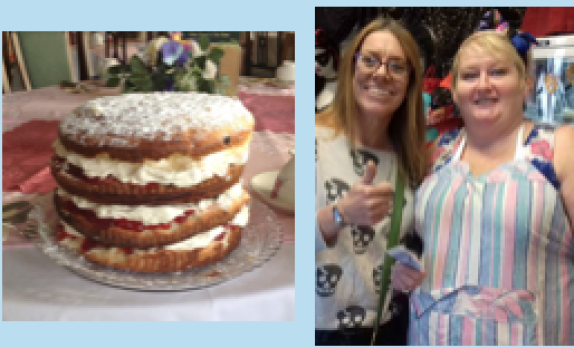 Sarah works in a bar and every time someone offers her a drink she will put the money in a fundraising pot; she admits it won’t be easy as she loves a tipple, but hopes to raise much needed funds for us, with a target of £250. You can find her Just Giving page here. We wish her luck and plenty of willpower! 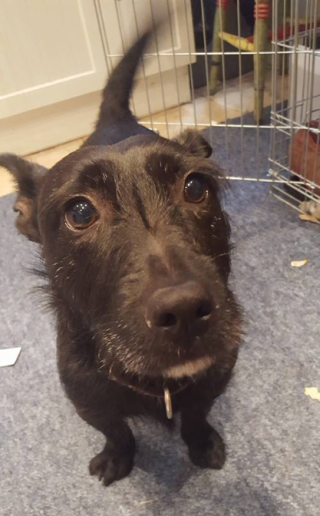 We are often asked “why can’t I foster this dog because I have children, or a cat?” We are always in need of fosterers, and are very grateful for the people who apply to help us with the rehabilitation of unsettled and often very poorly souls. But we are a responsible rescue and with that come certain self made rules and guidelines that we must adhere to. When we take a dog from the pound, rarely do we get a history of that dog. We don’t know why they have been abandoned most of the time, so we have a dog that we know nothing about. We have no idea if they are good with children, cats, other dogs, etc, so we have to start from scratch. Occasionally we get a brief from the pound or the kennels, but because this environment is highly stressful we tend to err on the side of caution. We assess with children, small furries, usually cats, as soon as we feel the dog is ready, - we cannot force these things. We have the help of Sue Combellack and Sue Clinton to cat test and we have certain savvy people who assess dogs with children. 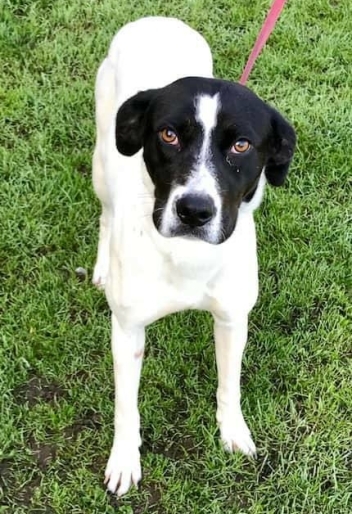 We have a duty of care to potential fosterers and adopters families, children and pets alike, so we cannot just place an unassessed dog into a home with children or small furries. If a child got bitten or a cat attacked or worse, we would never forgive ourselves. So we need to assess and test a dog prior to rehoming, and these things take time. It cannot be done the instant they come to us, they are too scared, anxious and unsettled, so we wait until the pooch has calmed, and is ok with the world, before we start assessing. The ‘start from scratch’ rule can also apply to unseen dogs that come from private homes, because in the past we have had some rose tinted descriptions from owners! So for all these reasons we will continue to take things slowly but surely because for us it’s the only safest way that we know. But please don’t be put off from applying to be a fosterer because you have children or cats; it may just take a little while longer to find the right dog for the right foster home. Zola, top pic, is still looking for her special someone. Nessie, above, has been in rehab for a while and is now ready for her child free forever home. 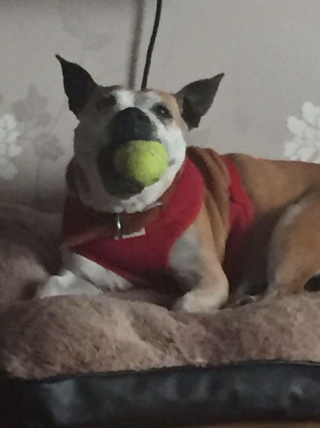 Well a massive massive big thank you to Hooch Farrbram and Boo Farrbram for their amazing donation of all their pocket money, - so so generous, and we are sure you had a lot of help from Gillian Abram and Graham Gruffy Farr... Thank you so much. 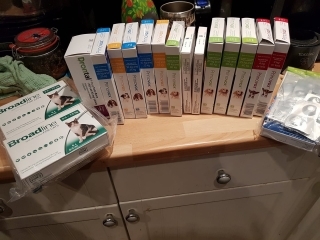 Another fabulous donation, of flea and worm treatment from everyone at Pawpers, Liz Ray and Friends, massive thanks to you all. 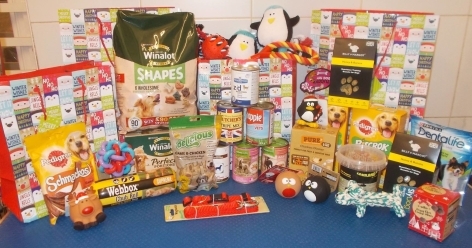 Huge thanks to The Dog House Helston and to everyone so far who's brought in donations for their Christmas Shoebox appeal, this will make a massive difference to the dogs in our care, especially at this difficult time of year. Thank you to Billy Stephens who gave a cash donation at the Pendean (Bude) Boot Sale during October. And a big thank you to Debbie Richards for doing the boot sale on behalf of LCH, we are very grateful for your ongoing support. Massive thanks to The Peanut Fund and Jane McNulty for the lovely donations towards Luna’s veterinary care, - thank you Peanutters! If neither of these methods are suitable, then we are more than happy to accept cheques if sent to our Treasurer, at the address given at the end of this email. 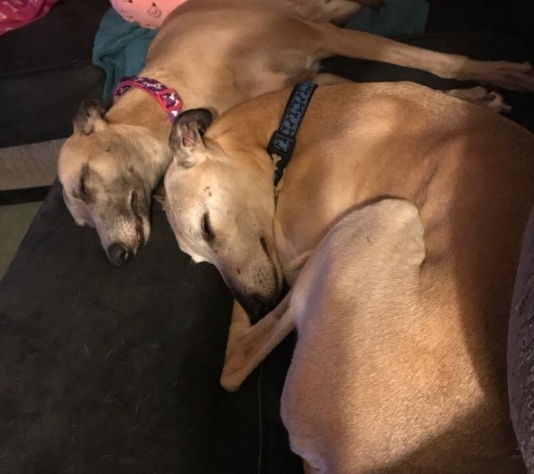 “Gotcha Day” is the name given to the day a lucky hound first came into his or her forever home. 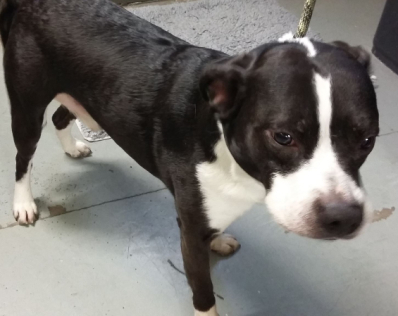 Skye came to us as an abuse case earlier this year. 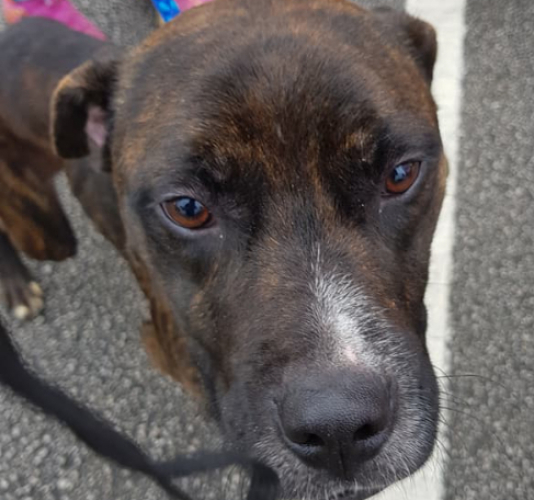 This beautiful girl found a loving family to spend her last days with, and had all the love and cuddles she could wish for. Skye gave us all a scare and we thought we were going to lose her then, but she rallied. Sadly a week later she lost the use of her legs and so, along with our vet, the decision was made. Our thoughts and love go to her family who gave her so much in her last months. Run free now at the Bridge, sweet Skye. 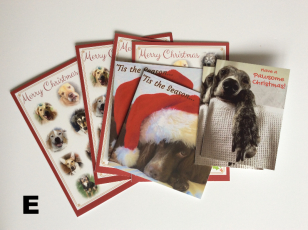 If you are one of the rare breed that still sends/gives REAL Christmas cards, please consider these, - every single penny of proceeds (including any postage paid) goes towards the animals in our care. There are three different ones plus a special one of the 2017 dogs design with an insert and the poem “A Christmas Rescue”, making four altogether. 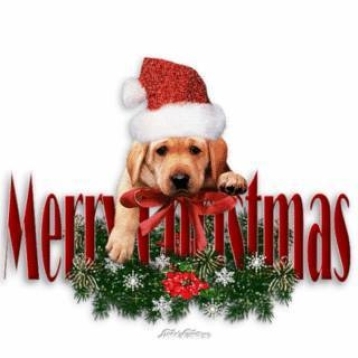 All have a Christmas greeting inside, the LCH logo and message on the reverse and come with matching envelopes. 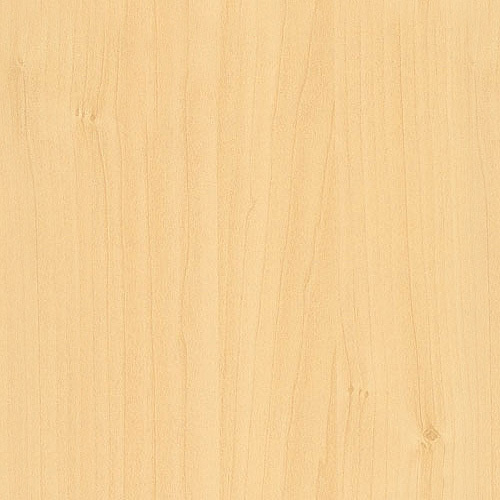 The largest card is A5 size, the smallest A6. The cards are now available at our Hub Shop in Redruth, and Petz of Wadebridge. They will also be at our Pets at Home awareness weekends during December, at Pool and Bodmin branches, do pop in and say hello to Claudine and Sarah if you have the chance. For online orders, please add £2.50 for post and packing, and send your donation via Paypal to paypal@lastchancehotel.org, using Friends and Family, with your order details (using the letters for each design, and quantity) and address. PLEASE don't forget your address! You can also donate via bank transfer to LCH account 73797503 sort code 20-67-19. Please email your address and order details to info@lastchancehotel.org if you use this method, and make the bank payment reference 'Xmas cards’. Thank you from Team LCH and all the animals. The Hub Shop is situated at 83 Fore Street, Redruth, almost opposite Wilko’s, and open 10am - 4pm Monday to Saturday. Lots of new and preloved goods on sale and hot drinks in exchange for a donation. Pop in for advice about animal related issues, and a browse around! Our 'Sale' days have been very popular. Volunteers to help man (or woman!) the shop are warmly welcomed, - just a couple of hours a week will help enormously. Please contact the shop on 01209 315547, or drop in for a chat. Donations for the Hub are always needed, especially ladies clothing in the larger sizes and good quality bric a brac. Dogs, once they love, they love steadily, unchangingly, till their last breath.